Jarvis Architects’ own Jon Larson was quoted in the October 9, 2011 San Francisco Chronicle article about the current surge of in-law units in the bay area. 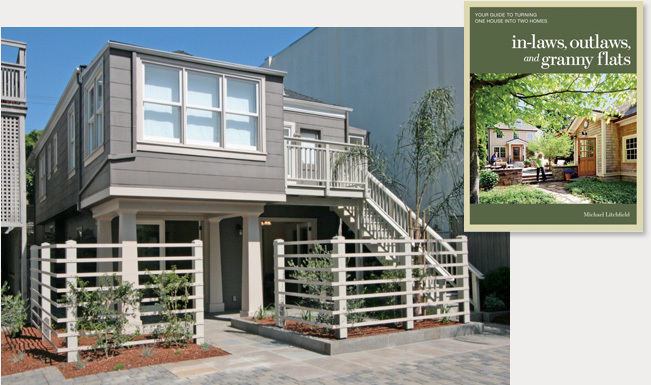 His basement infill project in north Oakland was one of three Jarvis Architects projects featured in the recent Taunton Press book, In-laws, Outlaws and Granny Flats by Mike Litchfield. Smaller living spaces save on cost, use less energy, and celebrate quality living. In addition to fulfilling specific spatial needs of the clients, Jon’s project provided more natural light and a better connection to the yard.